As Jon Jones gears up for his UFC 232 rematch with Alexander Gustafsson, many fans are wondering if we might see him rematch his arch rival Daniel Cormier in the New Year — perhaps even for the heavyweight belt. Apparently, however, any potential Jon Jones vs. Daniel Cormier rematch will not occur in the heavyweight division. Jones considers that Cormier’s turf. “He’s designed to be a heavyweight,” Jon Jones continued. “He’s comfortable there. He naturally goes to heavyweight between every fight. That is his spot, and like I said, he makes a great heavyweight champion. Even before fighting me, he was on a tear at heavyweight. That’s his zone. I have no reason to challenge him at heavyweight, because for me it’s not personal. 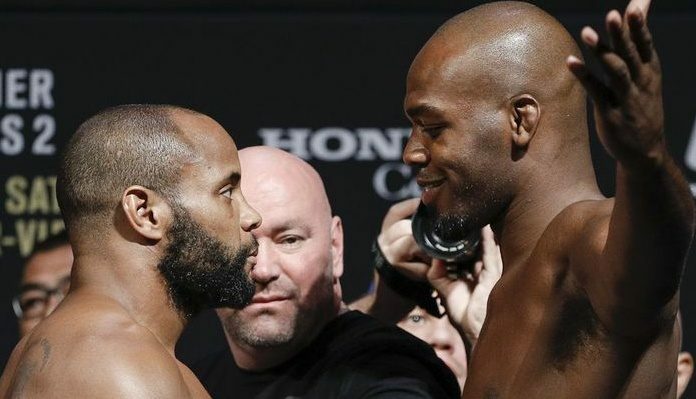 Does a light heavyweight rematch between Jon Jones and Daniel Cormier interest you? This article first appeared on BJPENN.COM on 12/29/2018.